Julie Bines is the inaugural Victor and Loti Smorgon Chair of Paediatrics at the University of Melbourne. She is a paediatric gastroenterologist and head of clinical nutrition at the Royal Children’s Hospital in Melbourne, Australia. Dr. Bines also heads the Rotavirus Vaccine Program for RV3, a new rotavirus vaccine candidate, at the Murdoch Children’s Research Institute. The program is working to develop a low-cost neonatal rotavirus vaccine which would prevent the virus from birth. Throughout her career, Dr. Bines has focused on rotavirus vaccine safety. She was involved in the development and validation of the Brighton Collaboration clinical case definition of intussusception, WHO documents outlining the epidemiology of intussusception in developing countries, and generic protocols for intussusception and post-marketing surveillance following rotavirus vaccine introduction. In 2004, Dr. Bines was awarded the Australian National Health and Medical Research Council Practitioner Fellowship and in 1990, she was awarded the Royal Australasian College of Physicians Fellowship. She received a MBBS from Monash University in Melbourne, Australia in 1982. 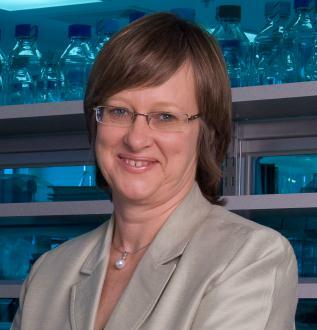 She received her MD from the University of Melbourne 2000.